On Saturday June 2nd, Leslie Smith Gallery, in cooperation with the Vrije Academie Amsterdam, organized a lecture about Contemporary Aboriginal Art. David Smith introduced over 50 participants to the art and culture of the Australian Aborigines in his lecture. 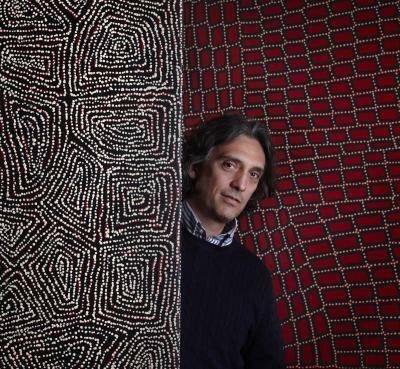 He talked about the background and history of the greatest art movement to date on the Australian continent, and he shared personal insight about how he discovered contemporary Aboriginal Art. Due to the great success and high demand of this talk, LSG and the Vrije Academie have scheduled a second lecture on Saturday September 8th 2012. For information on costs and how to enroll, please visit the website of the Vrije Academie Amsterdam.